Since the beginning of time every man and woman has prayed—millions of prayers daily. Why then are only a handful of them answered? What roles do luck, chance, or fate have in our lives? How can we discover and live our destiny? Joseph Hutchinson is a man who knows the reality of tragedy all too well; his life has been filled with misfortune and adversity. A widowed father of two, living on a farm that is about to be taken from him, Joseph embarks on an unexpected journey that will bring him face to face with his greatest fears, and ultimately with his greatest discovery—a mysterious wooden box hidden in his attic more than one hundred years earlier. This box, the Prayer Chest, contains the Three Secrets of Prayer that will change his life and the lives of everyone around him. 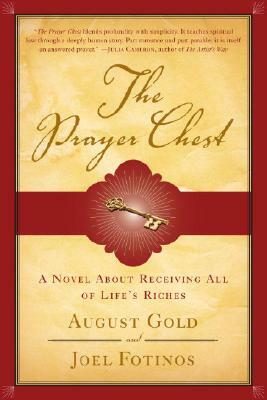 What starts out as a journey to save his children and himself turns into a quest through which he—and every reader who has ever struggled—discovers the power to make every prayer come true. Rich in romance, mystery, and spiritual insight, THE PRAYER CHEST is a wise and warm tale that will revolutionize everything we’ve ever thought about prayer—and the meaning of our lives here on earth. A parable for people of all faiths—or none—it is to be read, enjoyed, and above all, lived. "I absolutely love The Prayer Chest. Not only is it a good story, it also offers enormously helpful and practical guidance for living a joy-filled and meaningful life."